Today is Holy Cross Day. Christians around the world celebrate this day as a feast –a festival. September 14th is a day we turn to God and thank Him for Jesus Christ and all Jesus has done for us. John 3:16 says, For God so loved the world that he gave his one and only Son, that whoever believes in him shall not perish but have eternal life. I am thankful that God loves us so much that he sent his son Jesus to love us and help us to be more loving. Jesus died on the cross but was raised on the 3rd day so that we could have a new kind of life with him. 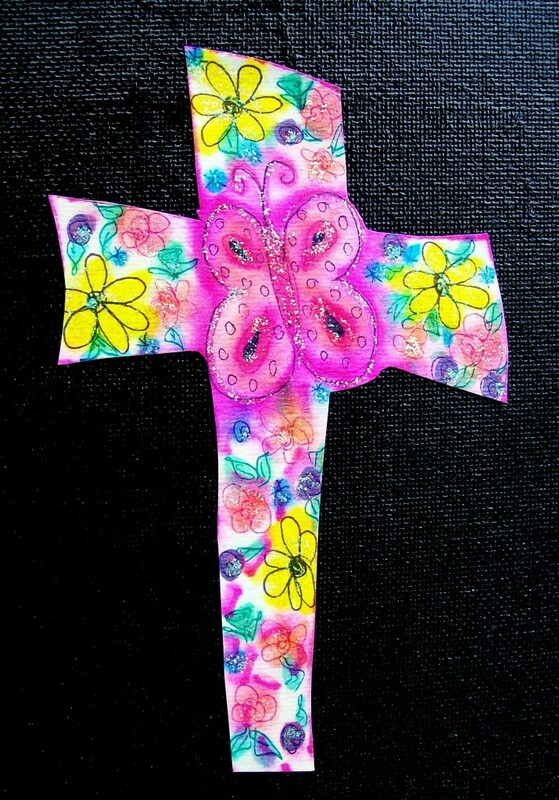 Whenever I see a cross it is easy to imagine it with flowers, butterflies, and hearts. Because the cross is ultimately joyful – it gives us life and hope. Jesus died so we can be forgiven and forgive, so we can be loved and love. Isn’t it amazing how much God loves you, and me, and the entire world? So much so that he sent Jesus to us, to be our friend. I gladly spend all my days with Jesus. And today on this Holy Cross Day, I gladly take a little time out to spend time looking at the cross, imagining its beauty and giving thanks for Jesus my dear friend.